Access: from the country hamlets of Ponte Mas (if you come from the road Belluno Agordo) and of Mis (from the road Feltre Belluno and from the provincial road "Pedemontana"). Environmental context - Description of the site: the complex is situated at the entrance of Val Cordevole and dominates the homonymous "masiere" (stony grounds), at an altitude of about 430m, on the slopes of Piz di Vedana dominating the complex. The position, of great landscape interest, meet the needs of isolation required by the Monastic Order. At about 10 km from Belluno, it lies within the administrative borders of the Municipality of Sospirolo and within the perimeter of the Park. Building period: the works to build the Charterhouse began in 1456; in the years following 1882, the final enlargement and partial reconstruction works were carried out. Architectural features: monastic complex of the Carthusian Order. The architectural structure reflects the aggregative features and the premises characterizing the Charterhouses, organized according to the severe "Customs" of the Fathers who, despite belonging to a community, live a rigorous isolation. 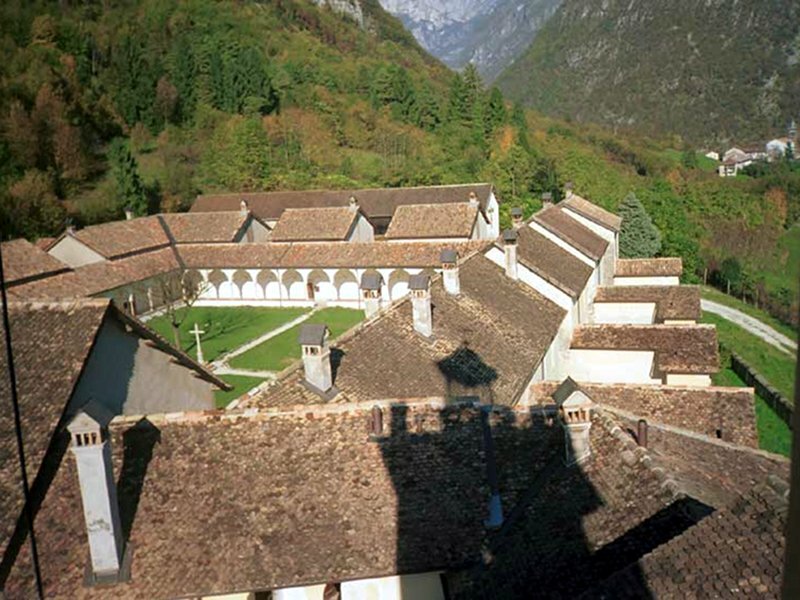 The settlement model of the Charterhouse of Vedana is inspired to the dictates of an ideal plan probably by the Carthusian monk Antonio Arlotti, then adapted to the nature of the place and modified. The structures as we see them today are the fruit of a reconstruction and enlargement measure which took place in the years following 1882, when the complex was purchased by the Prosecutor of the Great Charterhouse of Pavia; the partial project is ascribed to the architect Francois Pichat. Great historical – architectural value. The monastic system is characterized by a severe and rather simple structure, despite the several 19th century decorations, if we exclude the Church and the outdoor garden and cloister characterized by a more monumental aspect (according to the tradition, Palladio planned the Honor Staircase, made with Trento stone, and the overhanging gallery). The premises following one another and aggregating, adapting themselves to the features of the site, reflect the plan of the Charterhouse, strictly linked to the customs of the monastic life. 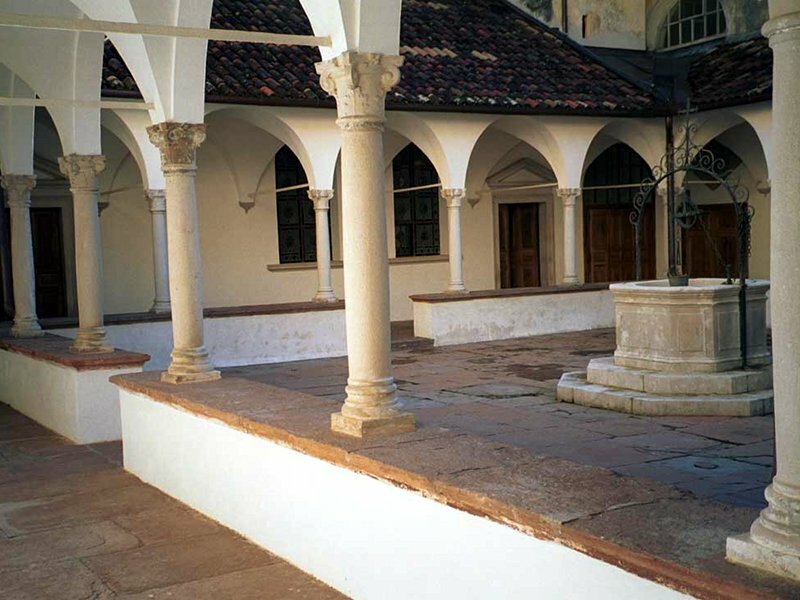 The complex includes three essential nuclei: the big cloister, where the cells of the monks and of the Prior face, arranged on two floors and each characterized by a letter of the alphabet leading to the sentences taken from the Holy Scriptures reproduced on the respective access doors; this was the burial place of the Carthusian monks; the small cloister, around which the premises of the community life develop, like the monastery Church, the Sacristy, the Choir, the Chapter House, the Refectory, the Library; the so-called "cloister of the lay brothers", where the premises alien to the monastic life used to face. In the middle of the complex, the Church connects the area of the Fathers to the area of the lay brothers. With the 19th century renovation works, also the cemetery chapel "of the Compassion" was annexed to the cemetery, in the northernmost section of the complex, next to the walls. Charterhouse in 1456. After the suppression of the community in 1768, it was transformed into a farmstead. According to the 1847 Land Register, the estate is still used for agricultural practices and part of the buildings are classified as ruined Monastery; in 1882 the Charterhouse was rebuilt as we see it today, partly recently restored. 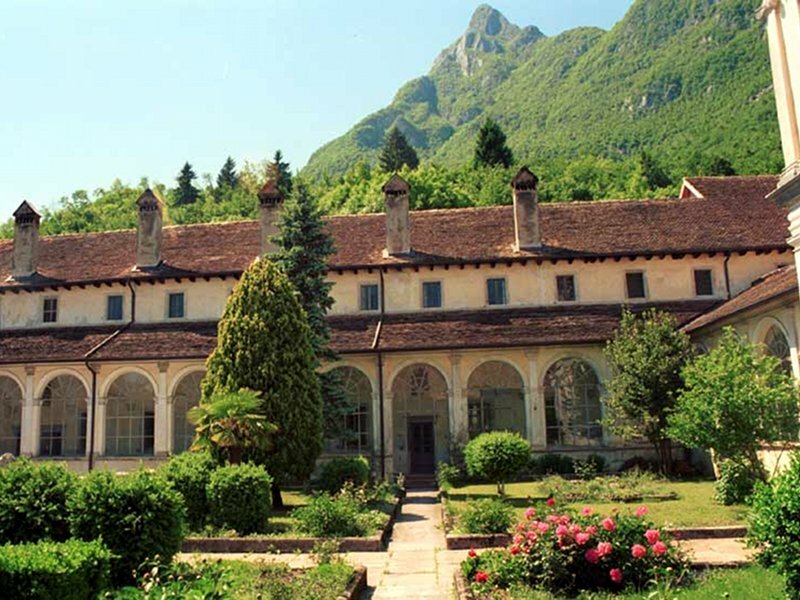 In 1977 the monks were moved to other localities, and the Charterhouse welcomed a community of cloistered nuns. 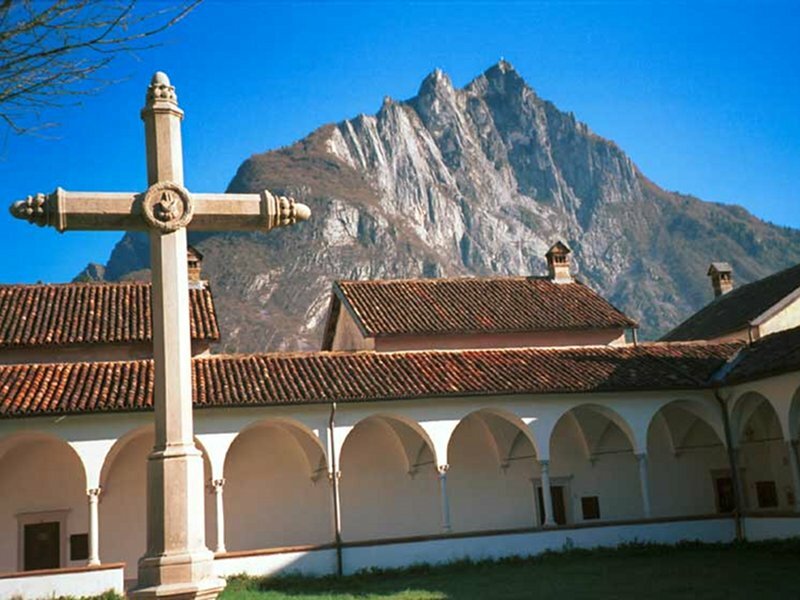 The Charterhouse of Vedana is the most important historical-architectural feature of the Park and one of the most important monuments of the whole Province of Belluno. 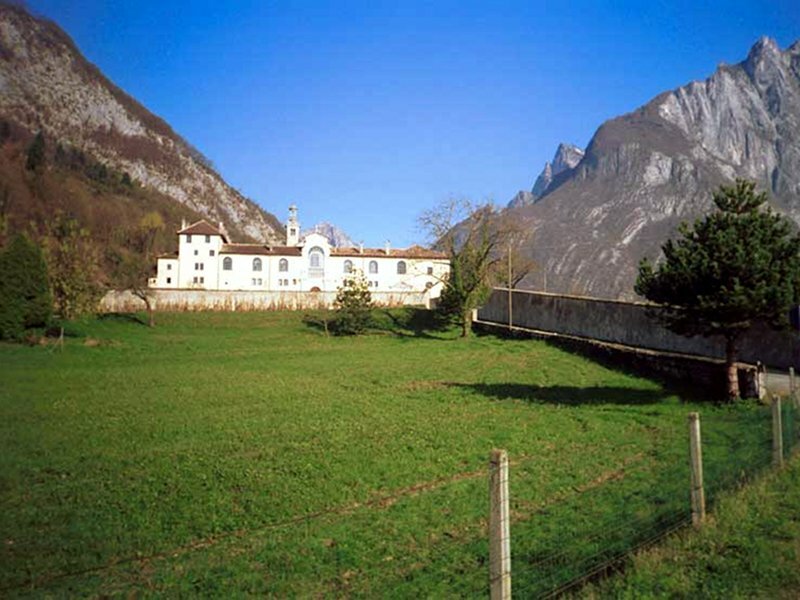 The history of the complex, situated at the entrance of Val Cordevole and dominates the homonymous "masiere" (stony grounds), is strictly linked to the hospitales situated at the edges of the route leading to Agordo. From the beginning, the hospice of S.Marco di Vedana, situated at the current nucleus of S.Gottardo, used to control the hospice of S.Giacomo di Candaten (founded more recently, the first documents date back to 1194-1208) and the hospice of S.Bartolomeo d'Agre. After the building of the Charterhouse, S.Gottardo was reserved to lay brothers devoting themselves to agricultural activities and accommodation. The thematic itinerary of the Park called The Route of the Hospices has been recently created: it leaves from the Charterhouse and reaches Valle Imperina; this interesting itinerary gives the opportunity to better discover the theme of the ancient accommodation structures for wayfarers existing along the main route of Val Cordevole, one of the most important north-south routes of this section of the Alps. Directions and information panels along the itinerary and at the main "laps". AA.VV. - La Certosa di Vedana. Storia, cultura e arte in un ambiente delle Prealpi Bellunesi, Leo S. Olschki, Firenze 1998. Bacchetti F., Selle M. - Certosa di Vedana, Pro Loco "Monti del Sole" - Sospirolo (Bl), Tip. Piave, Belluno 1993.